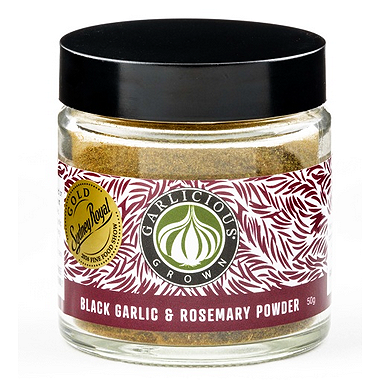 Wonderful molasses flavour of caramelised black garlic ground with organically grown Australian rosemary in the convenience of a powder. 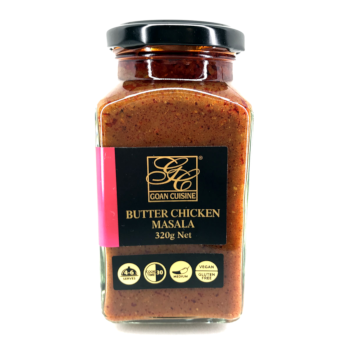 Slowly caramelised over a month, dried off and powdered to an enriched flavour. No added ingredients, just pure unadulterated garlic and rosemary - perfect dusted on roast lamb or over roast potatoes. Gold medal winner at the Sydney Royal Fine Food awards 2016. Walks away at market tastings.